Britannica School: Updated, relevant information for research. Current, updated and relevant information for research. Gosia Pudelko-Kelly, at Berkhamsted School gives us some great insight into their experience with Britannica resources. Our school had a lack of current, updated, relevant and easily accessible source of information available to pupils across levels. We also needed something which could be accessed by students from home. 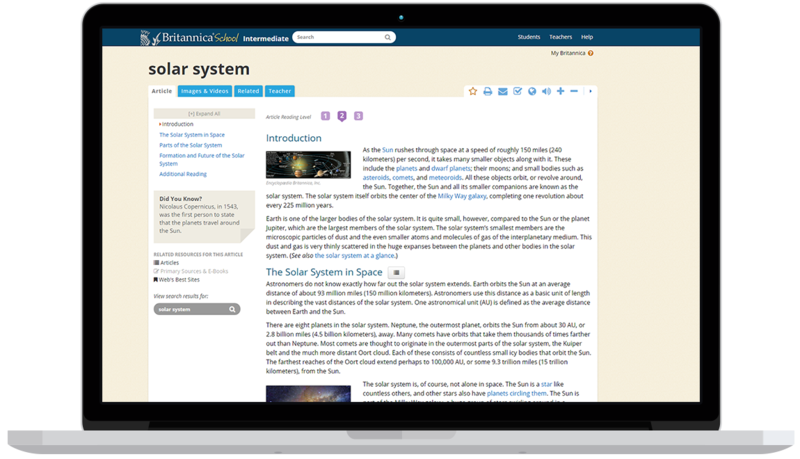 We knew Britannica as a world-renown, quality and authoritative source of information for school projects and assignments across the years. We looked at three key factors which made us choose Britannica; the well known reputation, the simple to use interface and the quality of all of the learning and instructional material. We love being able to advertise and encourage pupils to use quality checked source of information as part of the research skills awareness programme. Finally, the level of customer care that we received from the Britannica team has been fantastic. "We knew Britannica as a world-renown, quality and authoritative source of information "
"We looked at three key factors which made us choose Britannica; the well known reputation, the simple to use interface and the quality of all of the learning and instructional material."